Traditional media markets are always trying to evolve. To help get a feeling of the future of the business, APSE teamed up with the Sports Journalism Institute to ask the new generation to pick their brains. Lisa Wilson, editor of ESPN’s “The Undefeated,” hosted a seminar called “You Tell Us,” which allowed several sports editors across the nation to sit down with three aspiring journalists to try to understand what they must do to keep newspapers – print and digital – afloat and flourishing. 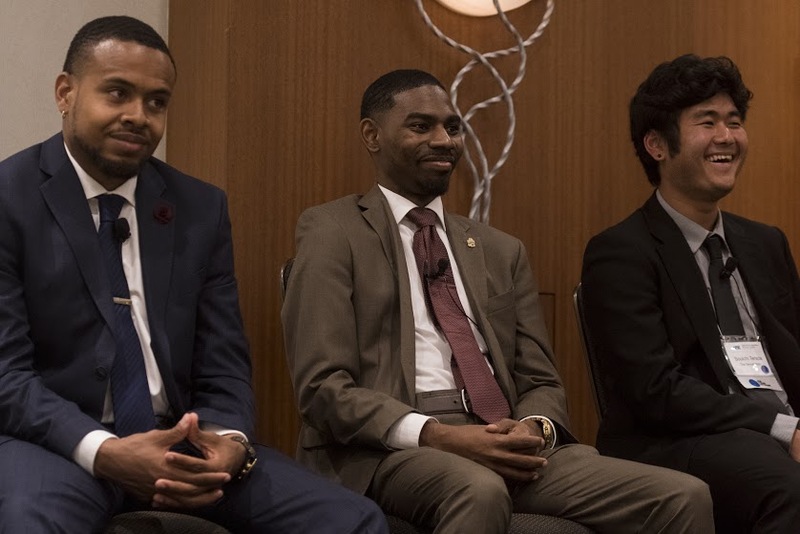 Tashan Reed, 22, Michael Curtis, 27, and Souichi Terada, 21, spoke on behalf of themselves and their peers and tried to explain what’s important to today’s youth and how they receive their news. Each journalist, who wants to become professionals in the field soon, said that technology and social media is too convenient and necessary to overlook. Curtis admitted that his phone is the first and last thing he looks at every day, and it is tough to go even 5 minutes without glaring at a screen. What does that mean for print, or traditional, journalism? Terada believes the discussion could help editors make more conscious decisions on hiring younger writers who may have a fresh take on how to appeal to a fast-paced generation. As editors soaked in the feedback from the session on how to better their department and its subscribers, the panel said they learned a few things as well.